Chiltern Mains are a family run business, established in 1981, thus we have over 38 years of experience. We endeavour to provide a high quality, honest and friendly service to all our customers, whether that be Domestic, Commercial, Agricultural or Insurance Companies. Please see just a few of our genuine and unsolicited testimonials. Our customers have included many thousands of private households, but also Housing Associations and Water Authorities. Clients also include The Crown Estate and a network of major Insurers. The same exacting standards required to be retained by these customers are equally offered to our private clients. Please view some of the many testimonials received. We also offer our customers specialist Directional Drilling, even where space is limited, thanks to our compact drilling rig. As well as being able to carry out larger projects over hundreds of meters, no job is too small for us, and we are able to install pipes and ducts with our compact drill on many domestic sites despite space constraints. 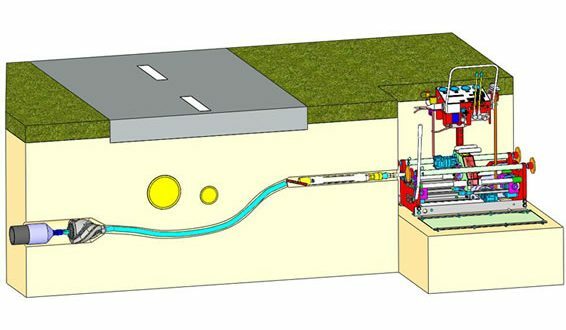 We can even safely drill beneath houses, rivers, brooks, roadways and railways. We use the latest technology for water leak detection and in our mains water pipe repairs and replacement with extensive use of moling to minimise disruption. To discover more about Chiltern Mains, our customers and the services we can provide please look through our website. 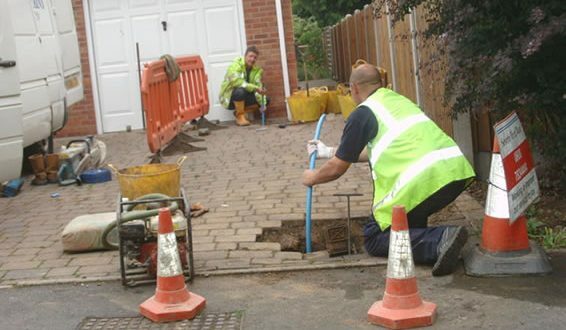 We either carry out a water pipe repair after locating a leak, or install new underground water mains piping. 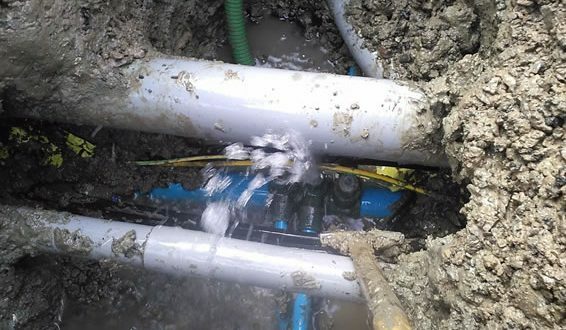 We install new water mains piping with minimum disruption using impact moling wherever possible. We install pipes and ducts over short or long distances, under surfaces and obstacles where you cannot trench, even where space is limited.